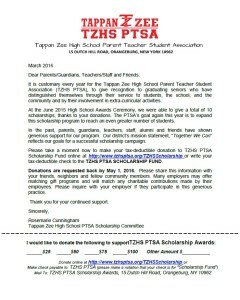 Every year the Tappan Zee High School Parent Teacher Student Association (PTSA) gives recognition to graduating seniors for their leadership skills as well as their involvement in extra-curricular activities. The PTSA’s goal again this year is to continue this scholarship program with your help. 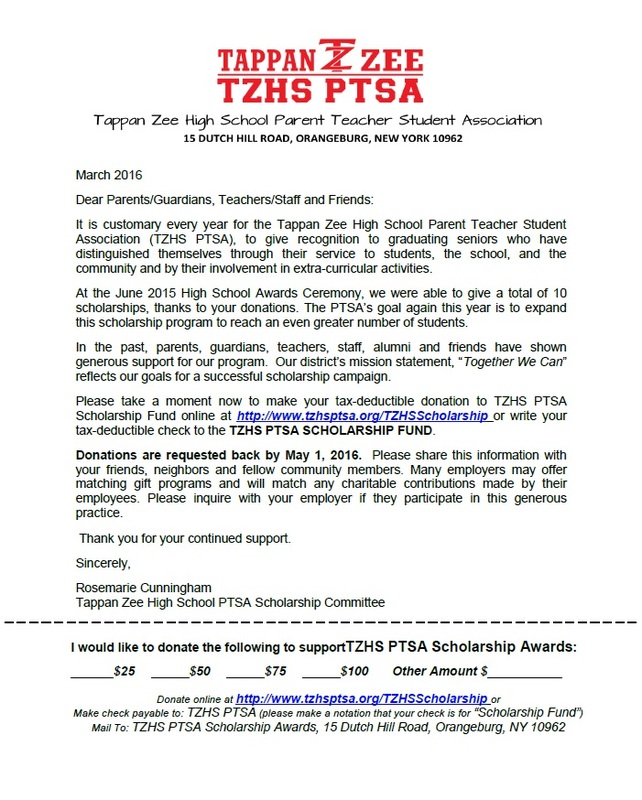 Please take a moment and click “Donate Now!” to make your tax-deductible donation to TZHS-PTSA Scholarship Fund. Thank you for your continued support. Please share this information with your friends, neighbors and fellow community members. We also have a matching fund program, please inquire with your employer if they participate in this generous practice. All details can be found by clicking the letters below. Please click “Donate Now” to make a monetary donation or contact Nicole Glazer or Mary Paul at projectgrad@tzhsptsa.org for more information on other types of donations. Send your questions, comments or suggestions using the form below or contact our officers directly from the directory.